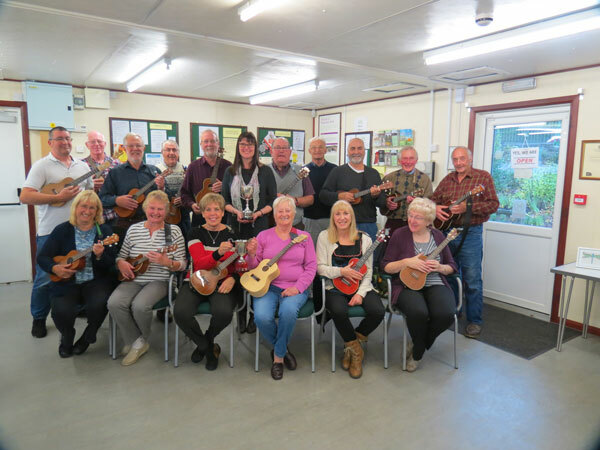 Formed in February 2013 for anyone over 55 and wishing to learn and play the ukulele, the Ukulele group meet in the Visitor Centre every Tuesday afternoon. The group starts promptly at 2pm. 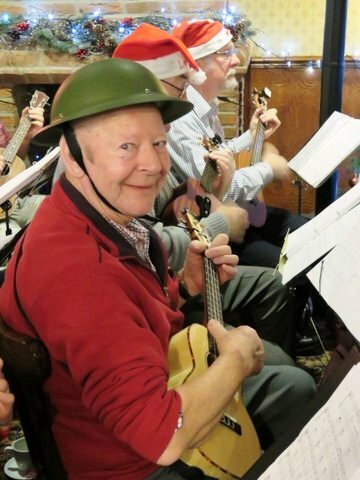 If you can play the ukulele and interested in joining us, please contact Mary Kenworthy 01484 301411. 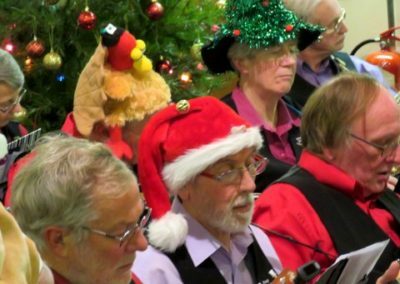 Please note soprano, concert, tenor or bass ukuleles only, not banjoleles or similar instruments. 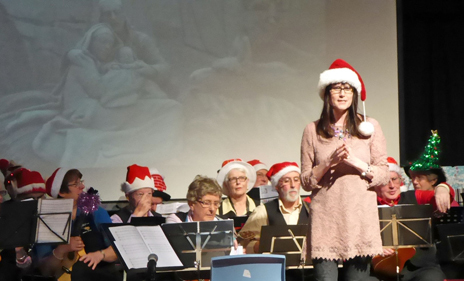 26 June: Mount Pleasant School – half hour concert enjoyed by three classes. 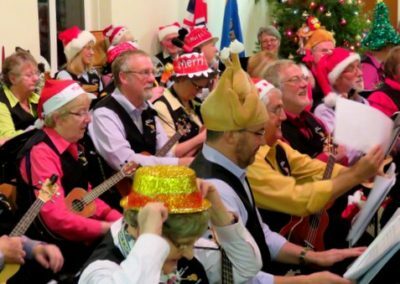 10 November: Berry Brow Methodist Church concert to raise money for church funds. 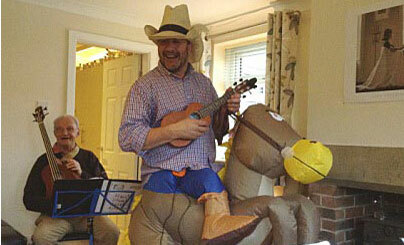 15 Ukulele players and David Pawson on accordion. 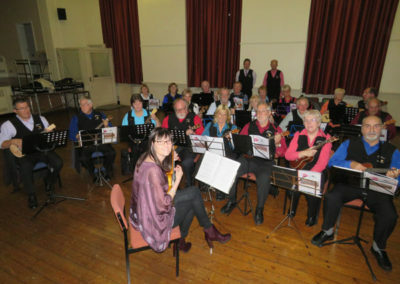 12 October: Brighouse Arts Festival – St Johns Church Rastrick, Ukulele Extravaganza – very well attended and lots of fun. Thanks to Ray Lumb who organised it. 9 December: HEARTBEAT Christmas Party at Brighouse Cricket Club. 27 October: Brighouse Arts Festival – Ukulele Concert at St John’s Church, Brighouse. 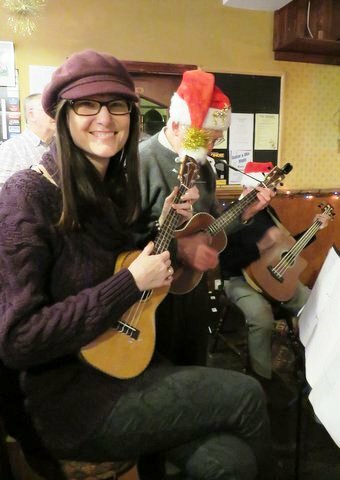 Various ukulele groups played from around the area. Super venue. Thanks to Ray Lumb for organising the music. 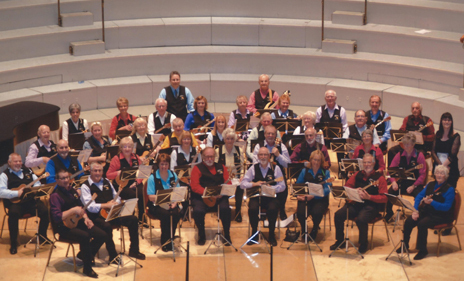 18 October: In the Visitor Centre with our trophies from the Holmfirth Musical Festival. 9 July: Southgate Threatre Honley – music night with Kirklees Music School African Drummers and Honley Sax Choir. 25 June: United Reform Church – Mold Green charity event raised £732 towards a wheelchair bike for Jemiah’s Foundation (Supporting Disabled Children Non profit foundation). 25 February: Mrs Sunderland Festival – 1st place in Large Ensemble Class. 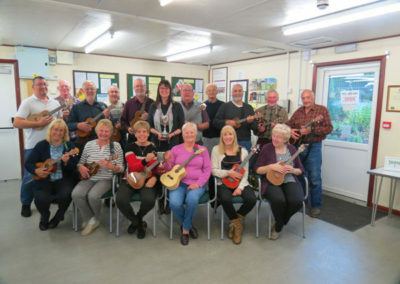 To assist the Almondbury Cricket club raise funds for a new roof, the FoBP Ukulele Group played a number of pieces for those lucky enough to attend a gloriously sunny afternoon. Photos courtesy of Linda Edwards and Yvonne Latawiec.